Cults are present in many stories and games. They serve as a good villain and foil for the heroes to fight against and prevent them from performing their sometimes unholy tasks. Some cults give their members impressing sounding titles, either to hide their real identity or to mark their rank within the cult or group. 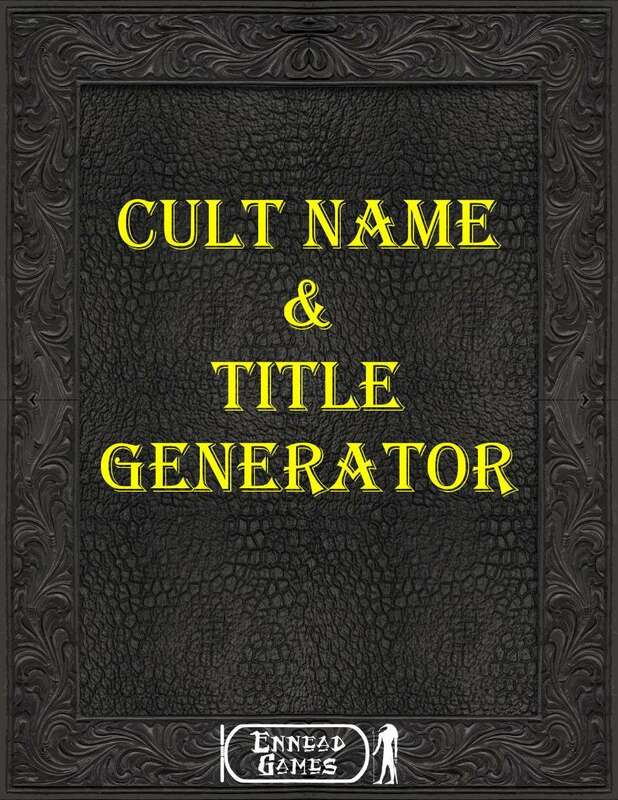 This generator can create 60,000 cult titles and the same again for the cult names. Use both parts together and you get a possible number of combinations of 3,600,000,000 possible titles and cult names. This title was added to our catalog on August 26, 2013.